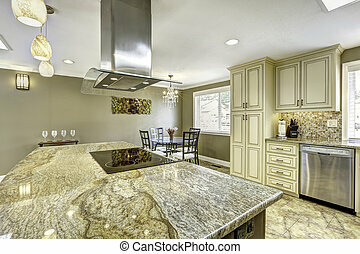 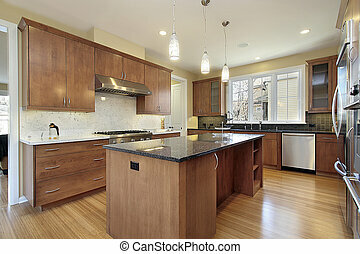 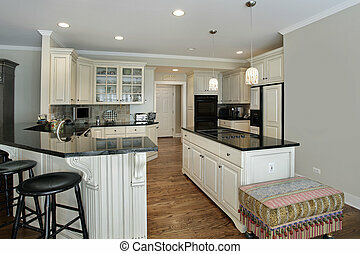 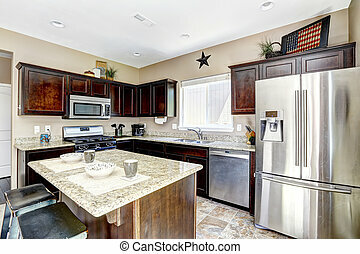 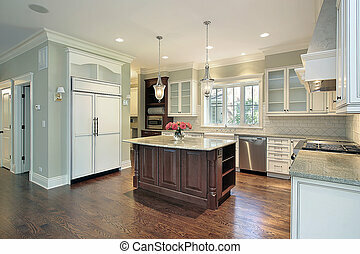 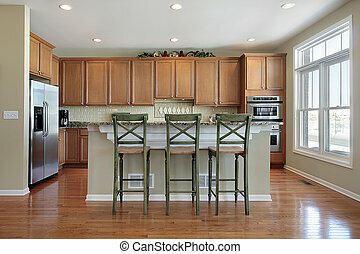 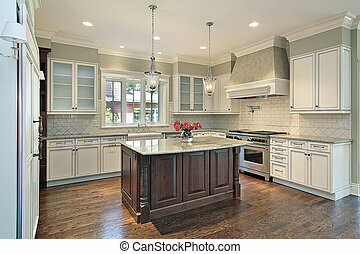 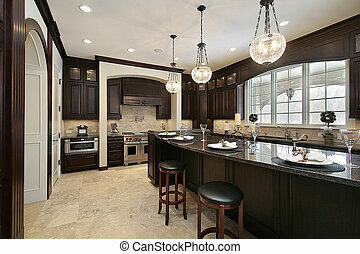 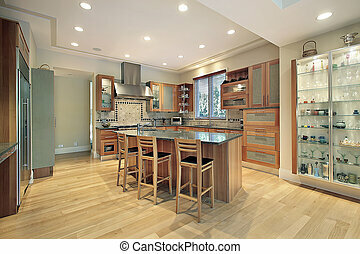 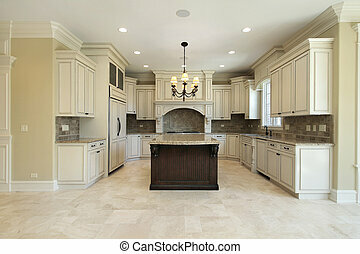 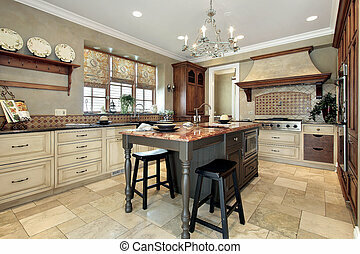 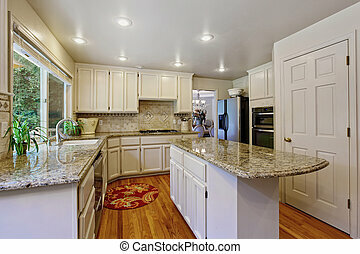 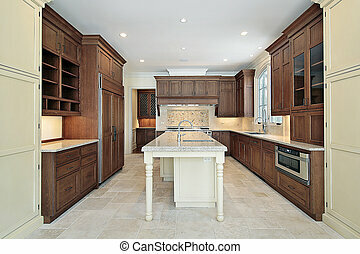 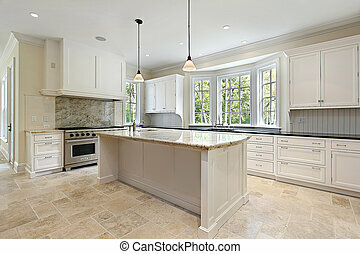 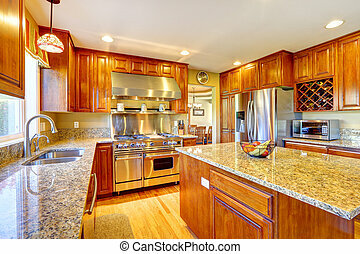 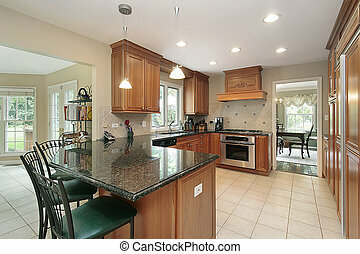 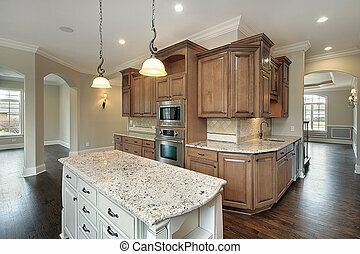 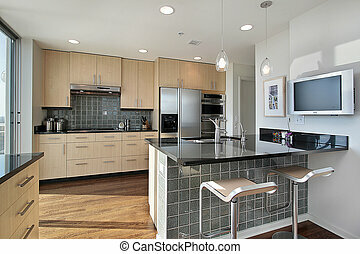 Kitchen with granite island and cherry wood cabinetry. 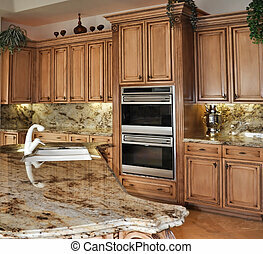 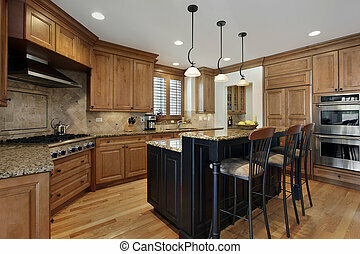 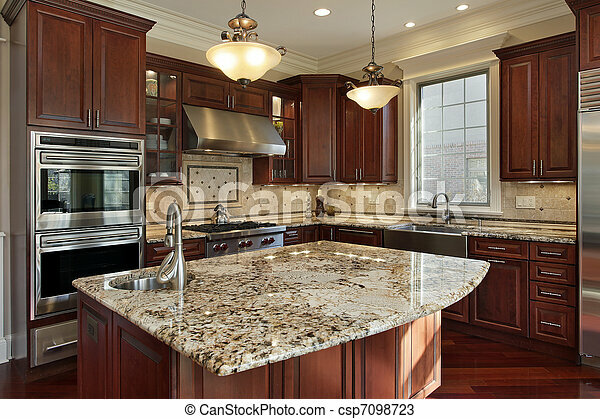 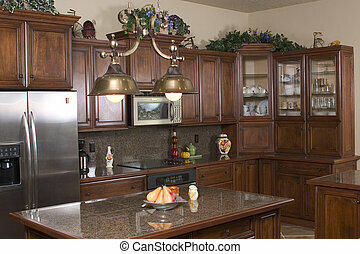 Wood classic large kitchen with granite island. 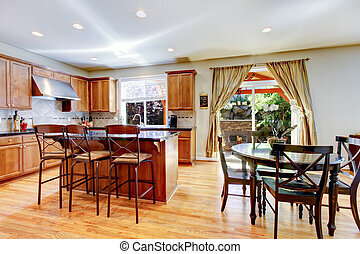 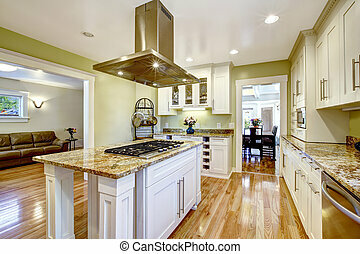 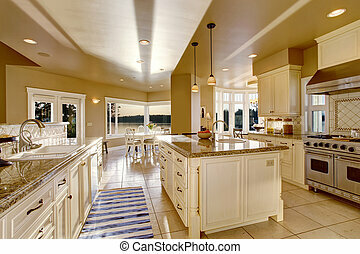 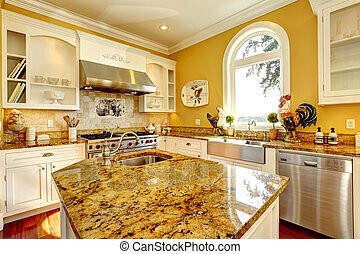 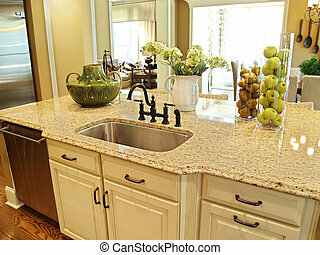 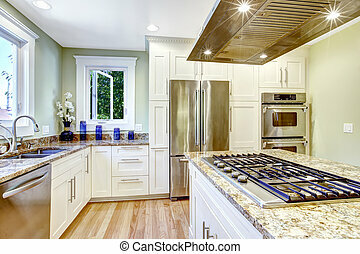 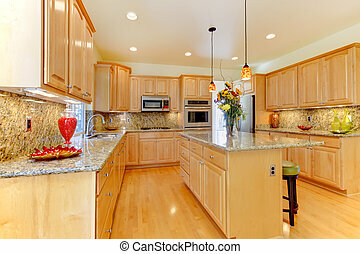 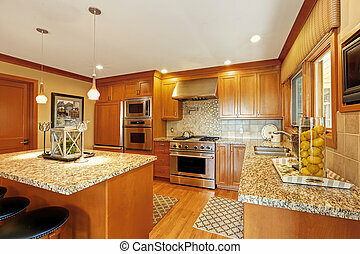 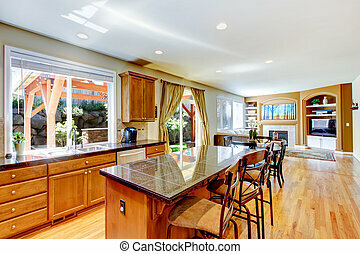 Bright yellow kitchen interior in luxury house with granite tops and kitchen island.